I can't believe how fast the time flies by! Before we know it, the kids will be home for summer break and the temperature will start climbing! 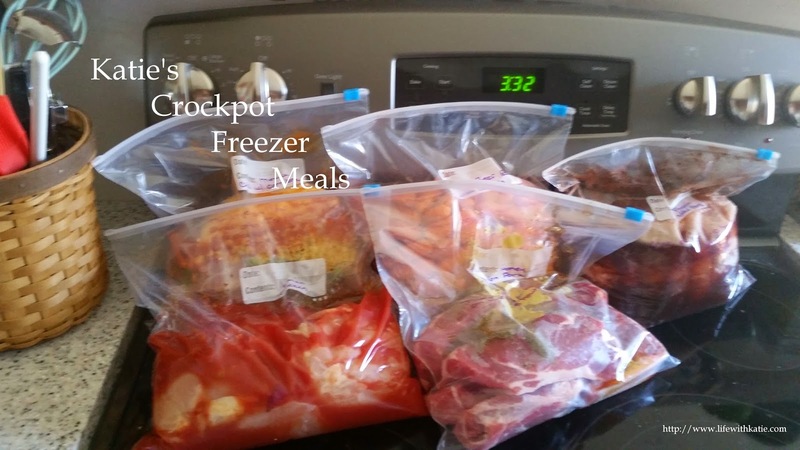 The summer is one of my favorite times to pull these meals out of the freezer and toss them into the crockpot. It helps keep my house far cooler than if we had to use the stove top or heaven forbid, the oven! Plus, we can toss dinner in first thing in the morning and I can haul the boys off to their various sport and band practices, knowing that after a long day, dinner will be waiting! This week, I want to introduce you to another of our long time favorites. The boys have loved this recipe from the time they started eating! Cripes, I won't tell you how long ago that was! Place all ingredients -except- cheese and corn muffin mix into a gallon sized freezer bag. Place cheese into smaller freezer bag and place in larger bag. Squeeze out excess air and place in the freezer. Cooking instructions: Thaw in refrigerator. Place in crockpot and cook on low for 4-6 hours. Follow directions on corn muffin mix. 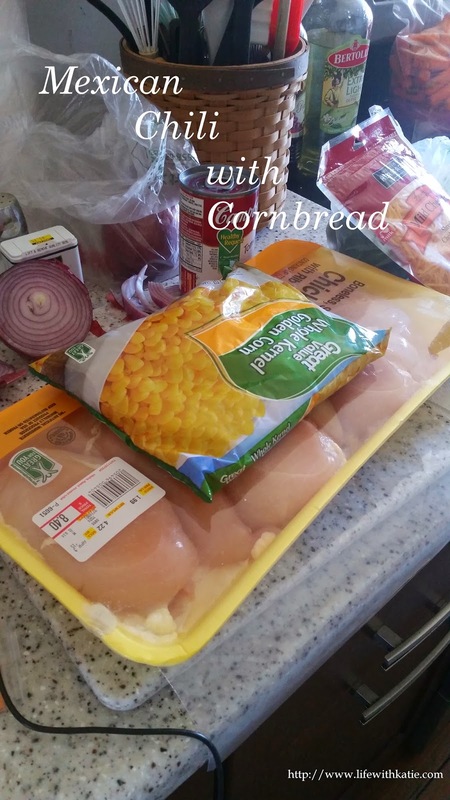 Shred chicken and then top with cheese and cornbread batter. Cook on high for an additional hour.